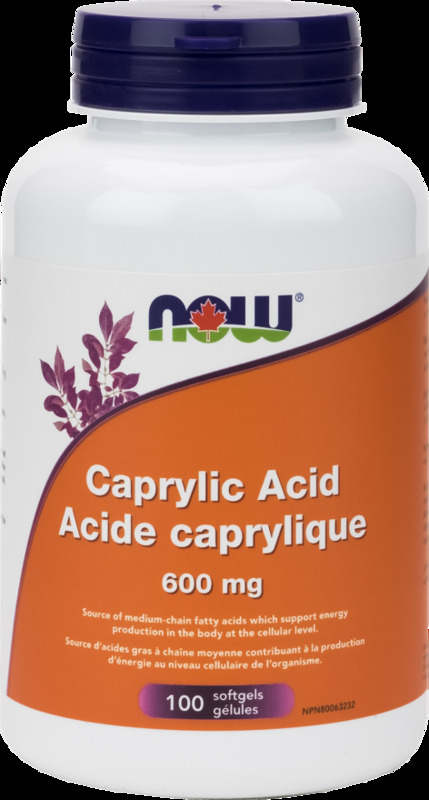 NOW® Caprylic Acid is a naturally derived nutrient traditionally used to support internal wellness. Also known as octanoic acid, Caprylic Acid is a short-to-medium chain fatty acid (MCT) that is naturally found in coconut and palm kernel oil. Caprylic Acid supports general health through its ability to generate cellular energy. There is limited research showing that caprylic acid may demonstrate a possible role in alleviating mild fungal infections. Adult Dosage: Take 3 softgels, 2-3 times daily with food.